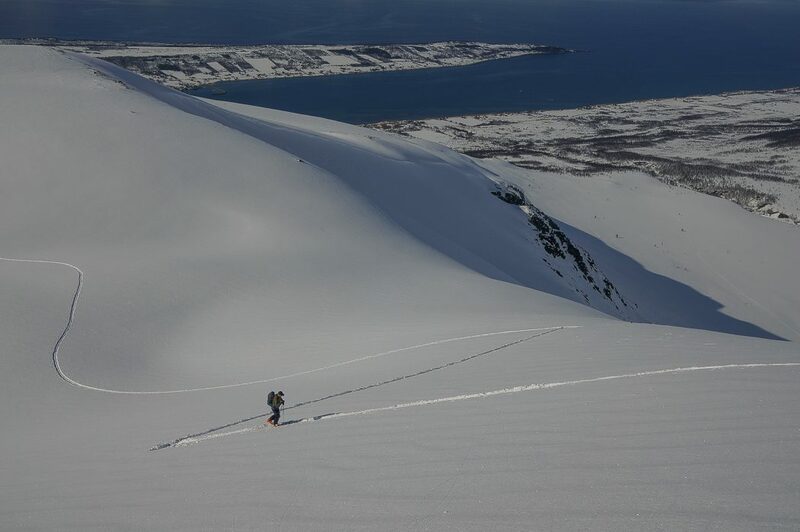 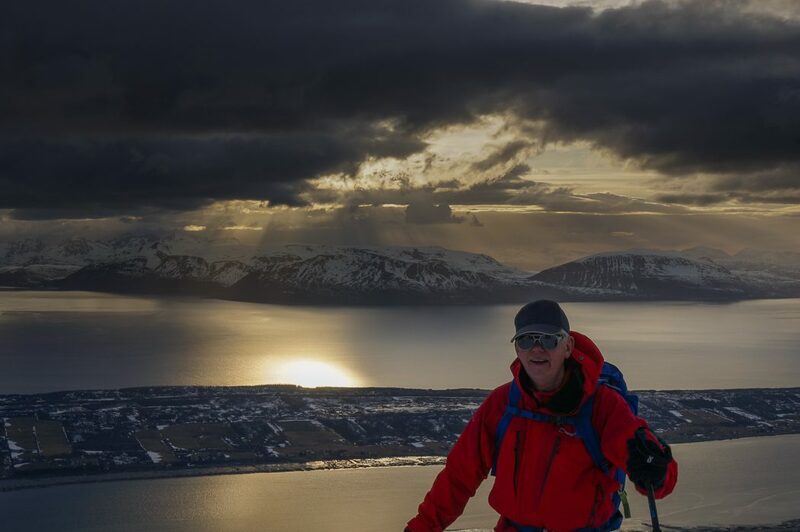 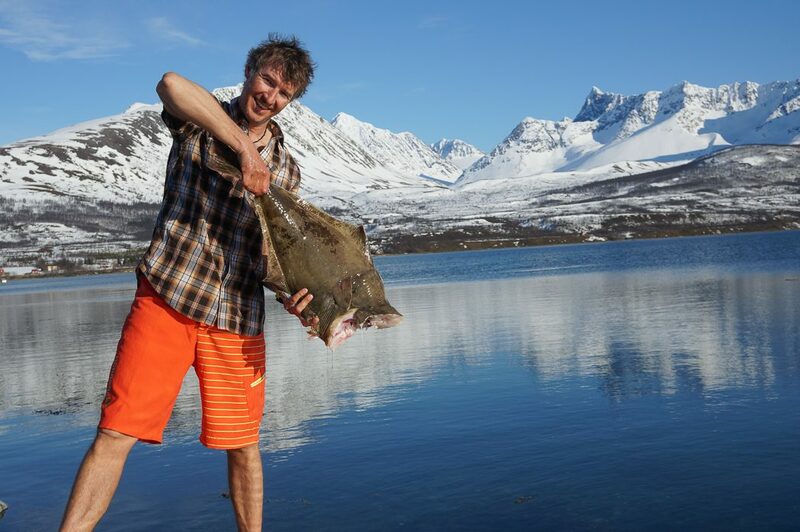 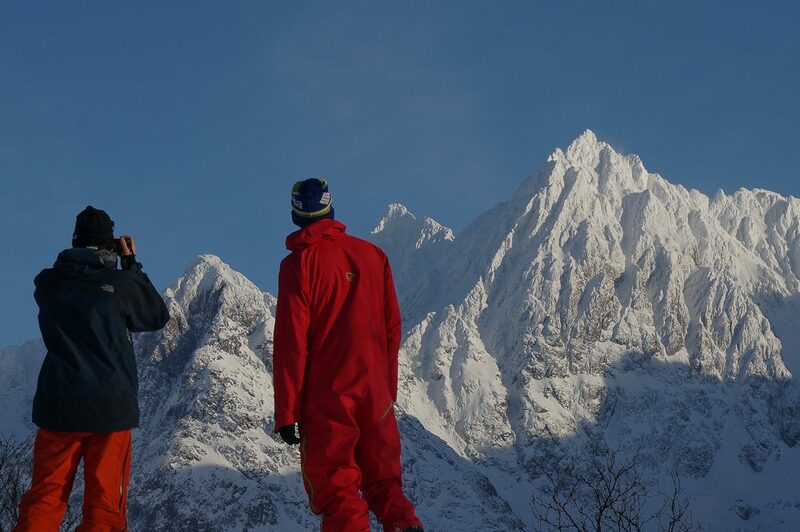 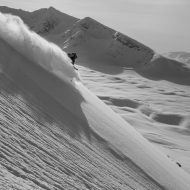 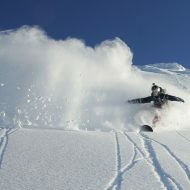 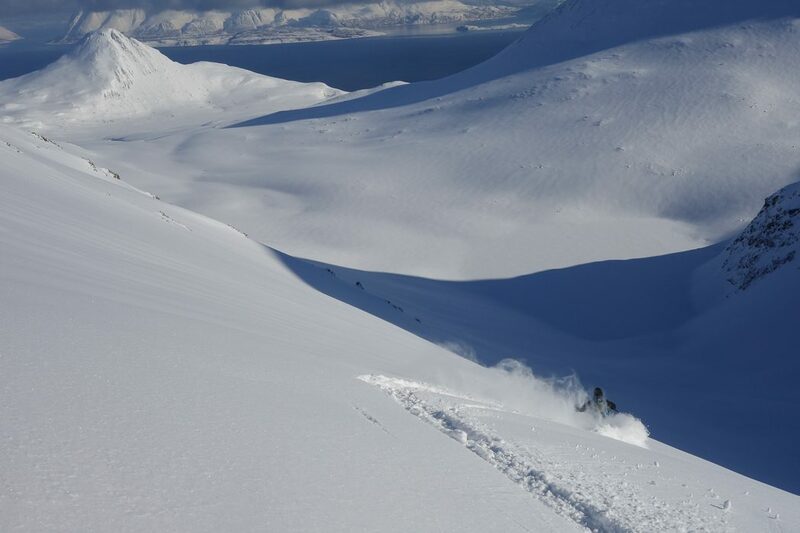 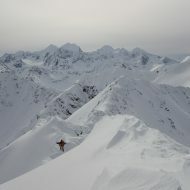 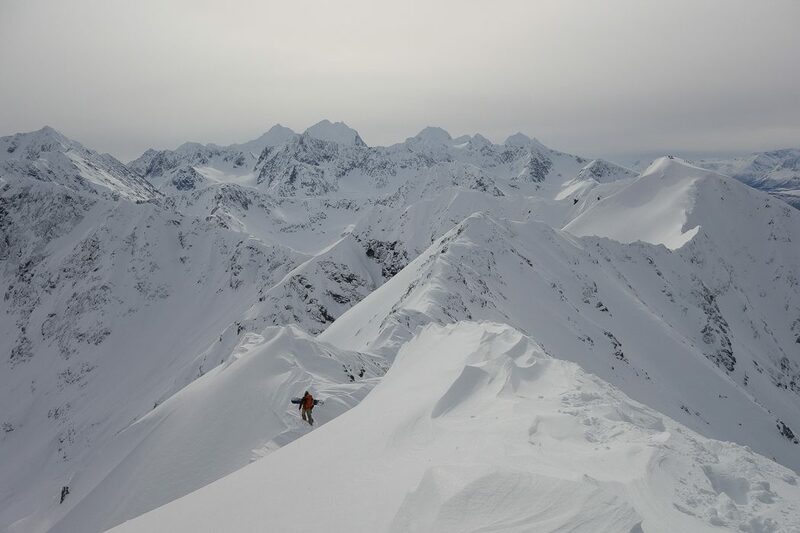 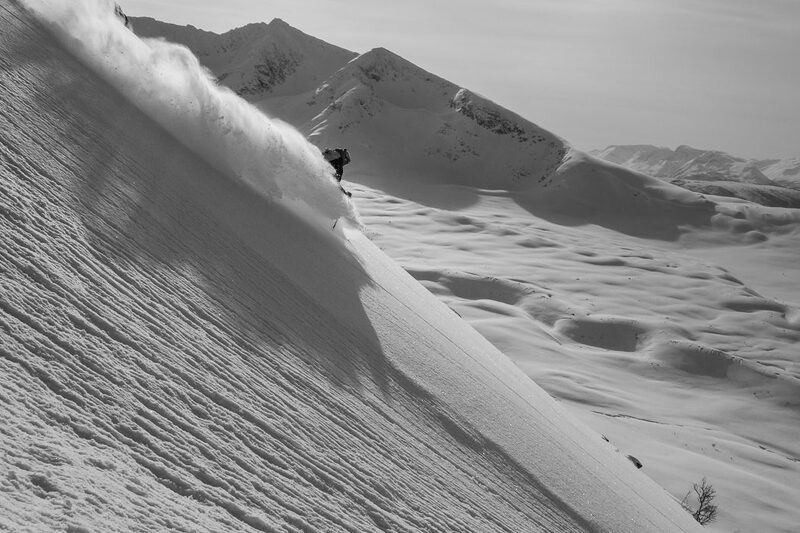 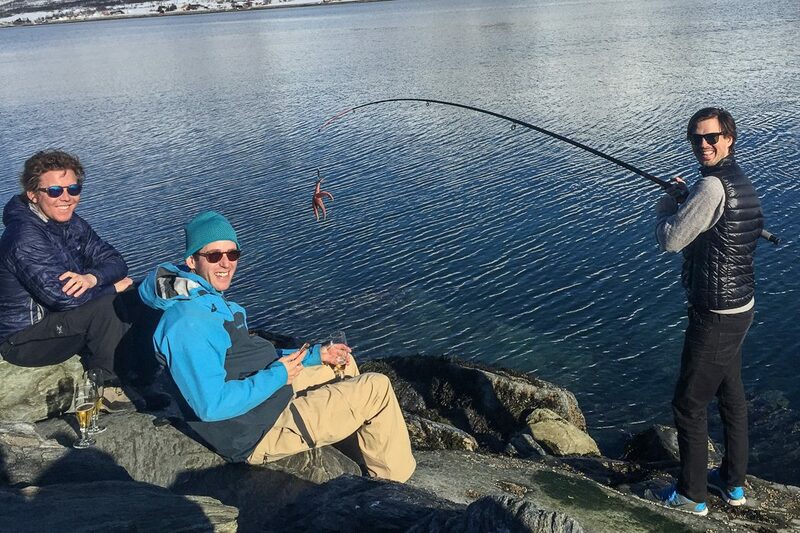 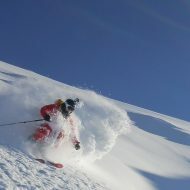 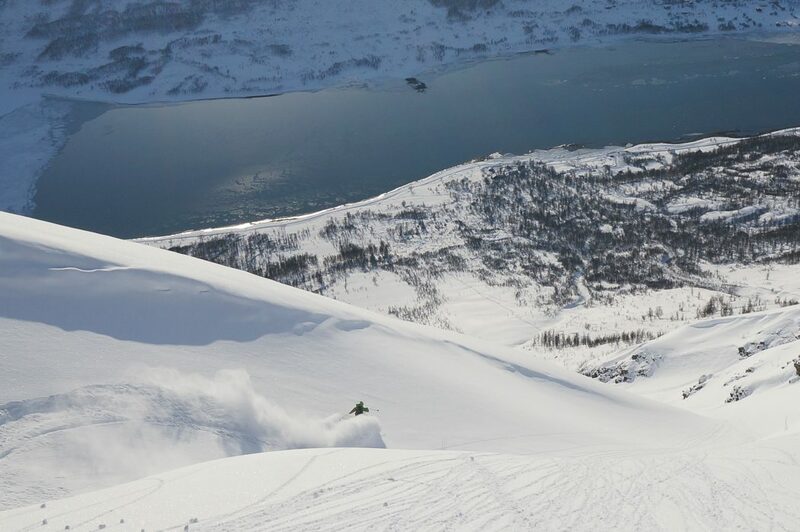 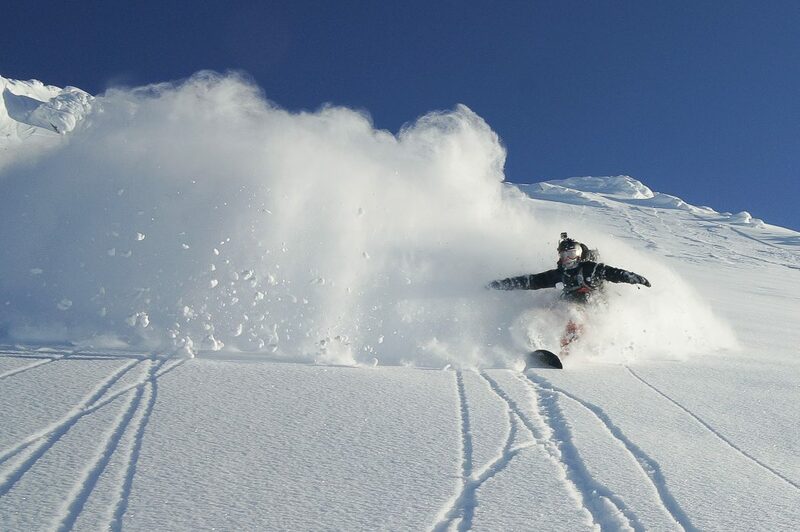 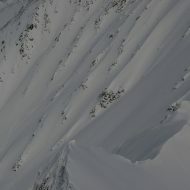 A long and memorable season of Lyngen powder touring at its best! 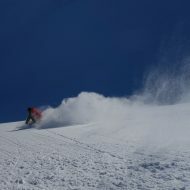 Starting out in early March with the first big dumps of the winter. 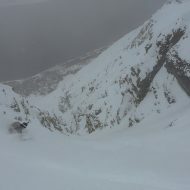 With lots of fresh snow comes hard trail breaking, rewarded by glittering views and face shots for everyone. 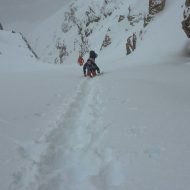 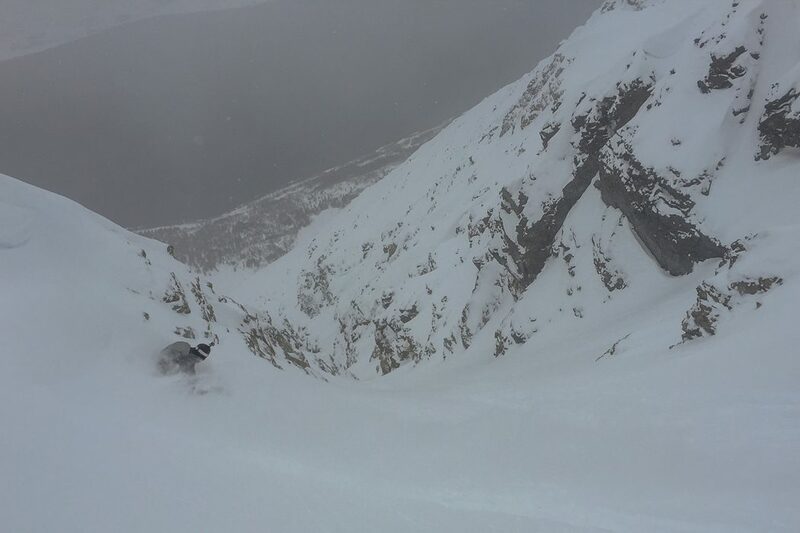 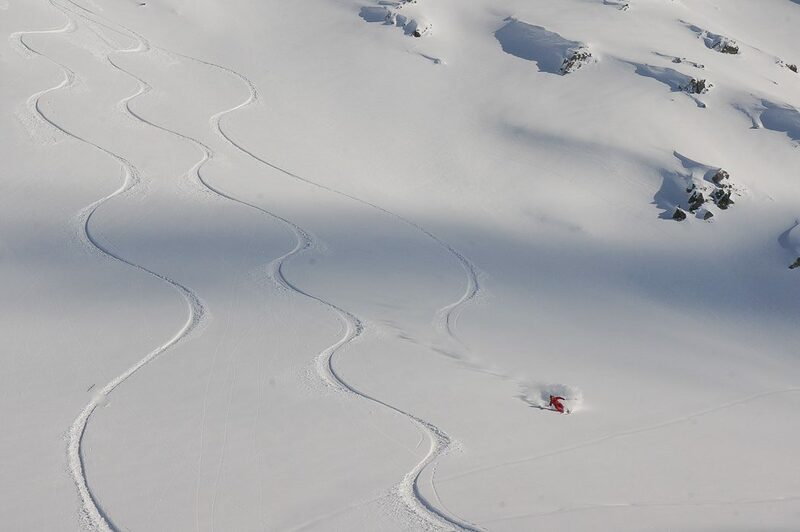 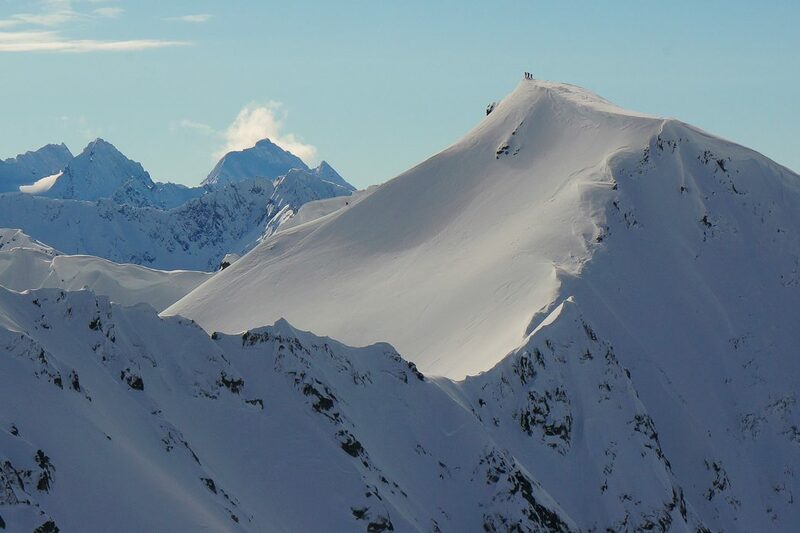 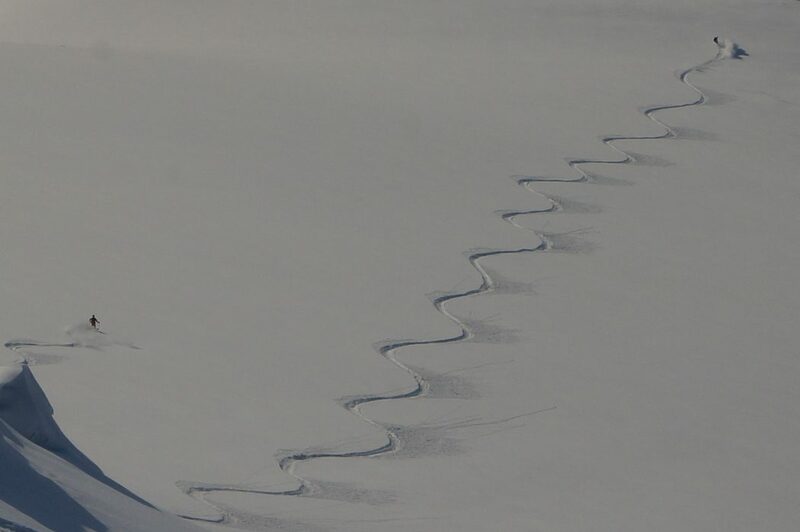 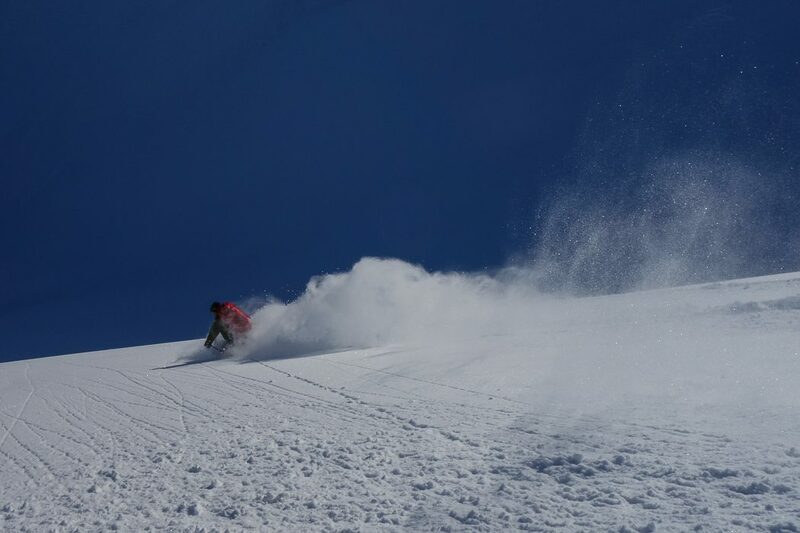 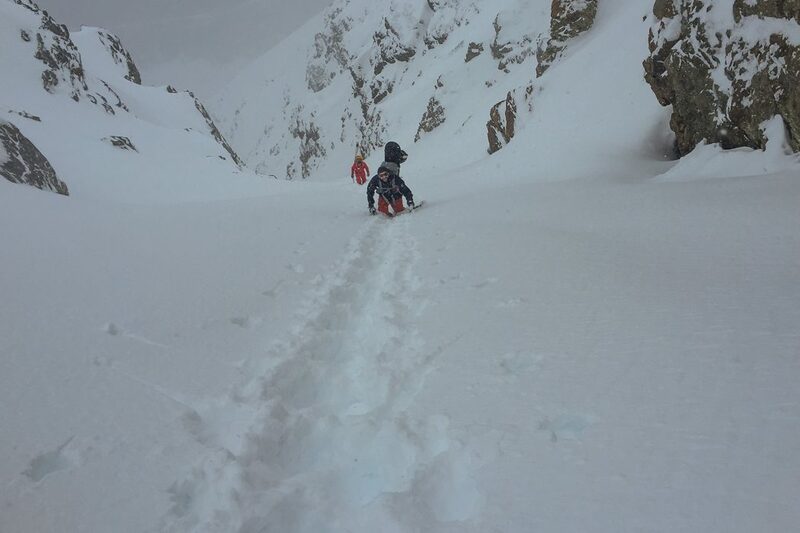 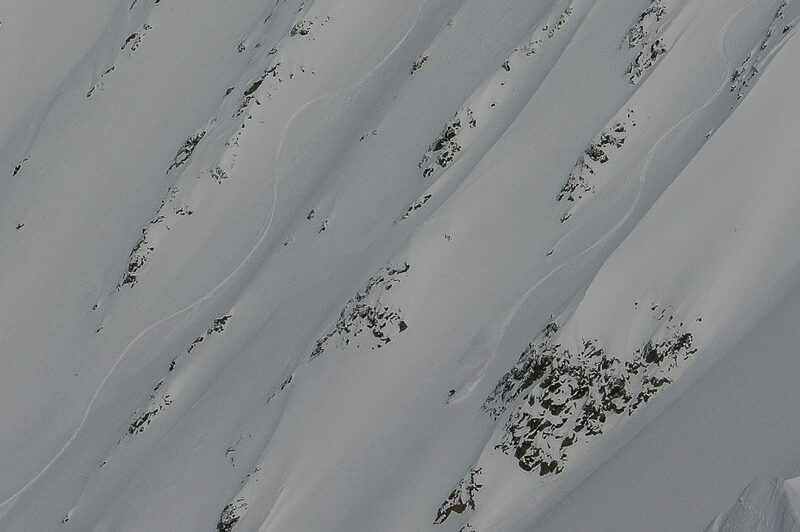 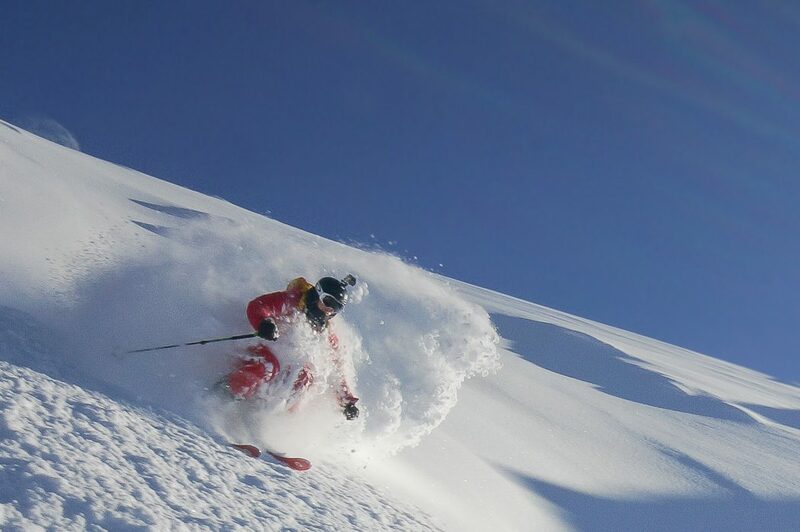 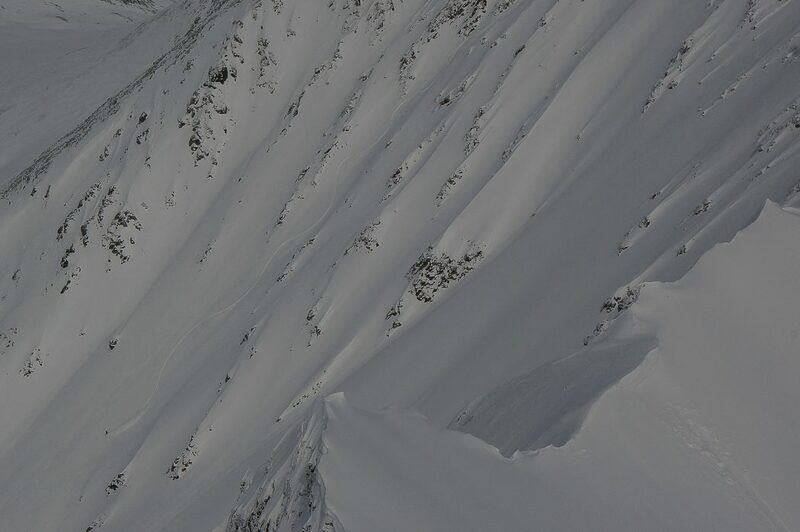 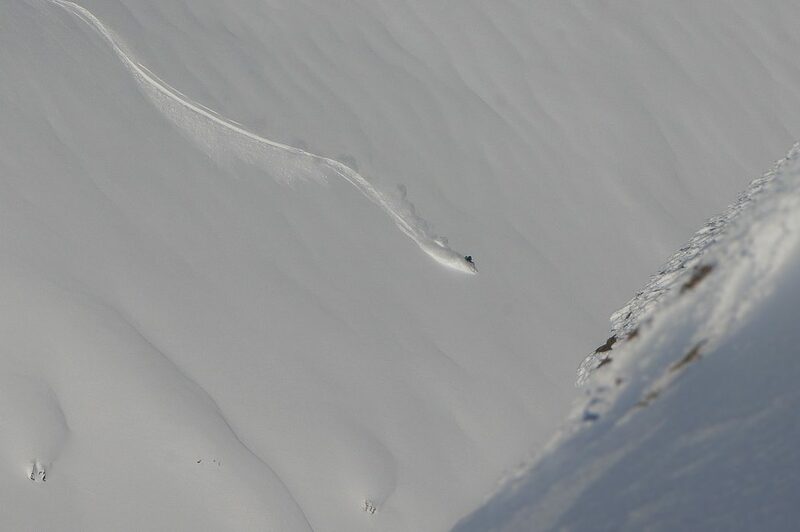 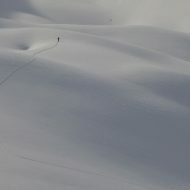 As conditions stabilised in April we got to ski a lot of new lines. 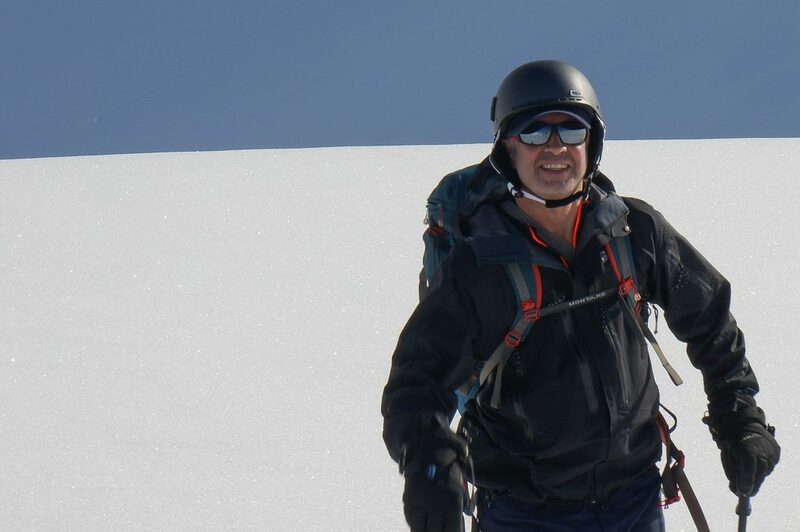 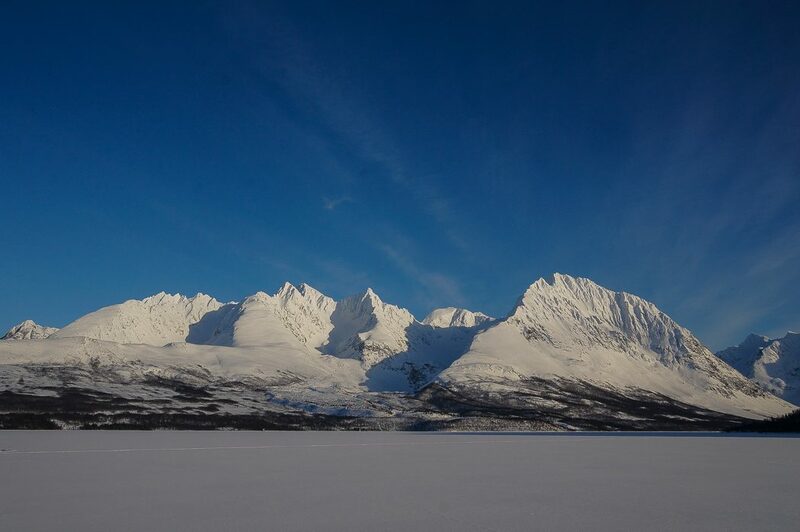 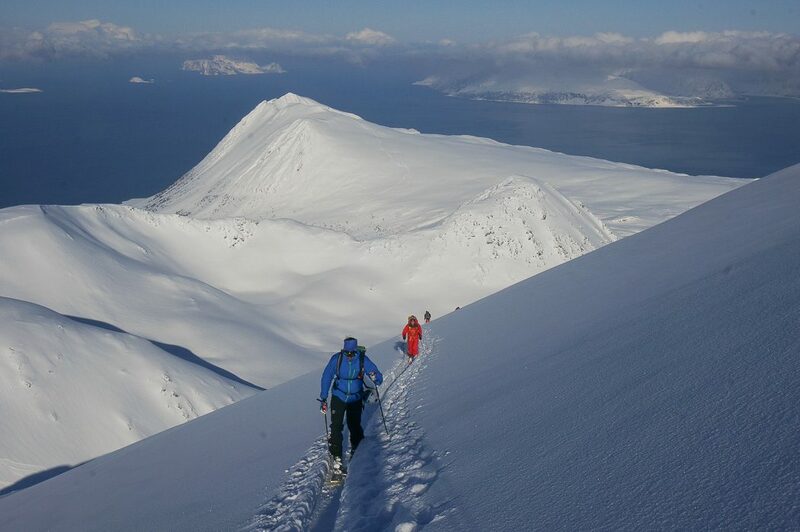 We even climbed new peaks that we had not yet visited during our 12 winters in Lyngen Alps. 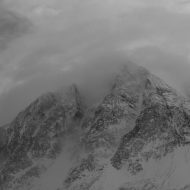 After a record hot end of April, winter made a comeback in the high mountains during our last week in mid-May. 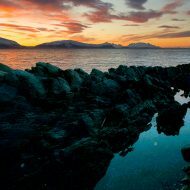 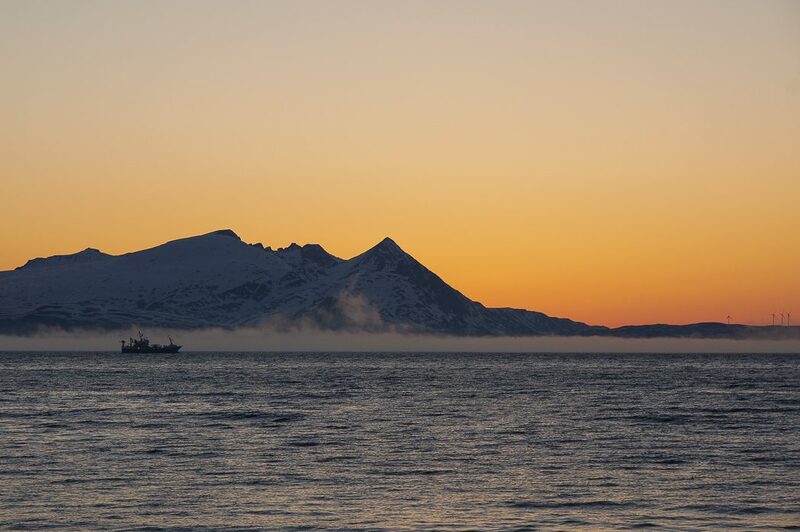 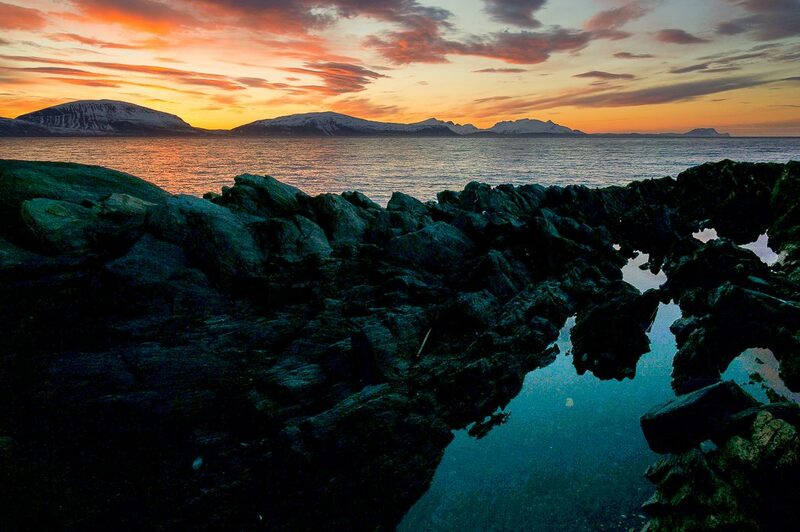 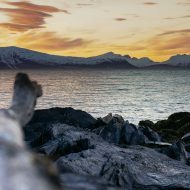 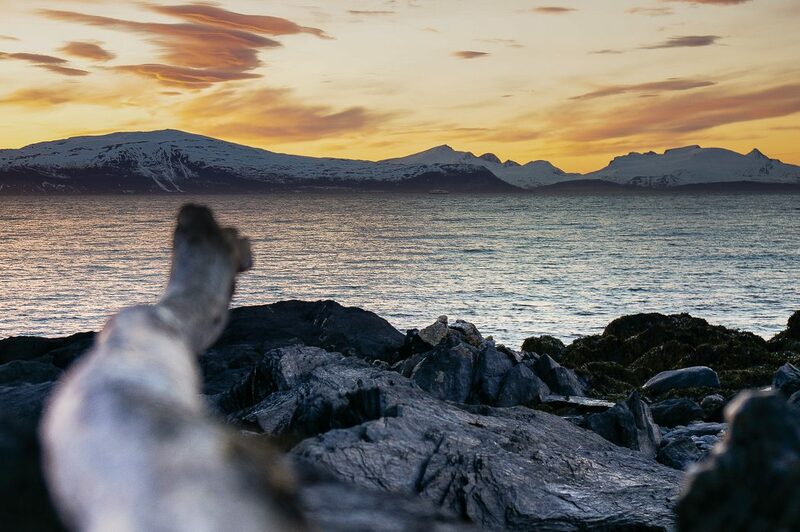 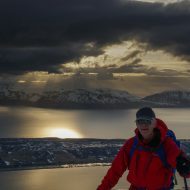 A strong team and 24h daylight allowed for longer days and exploring deeper into the massif on the Lyngen peninsula. 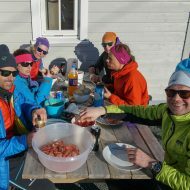 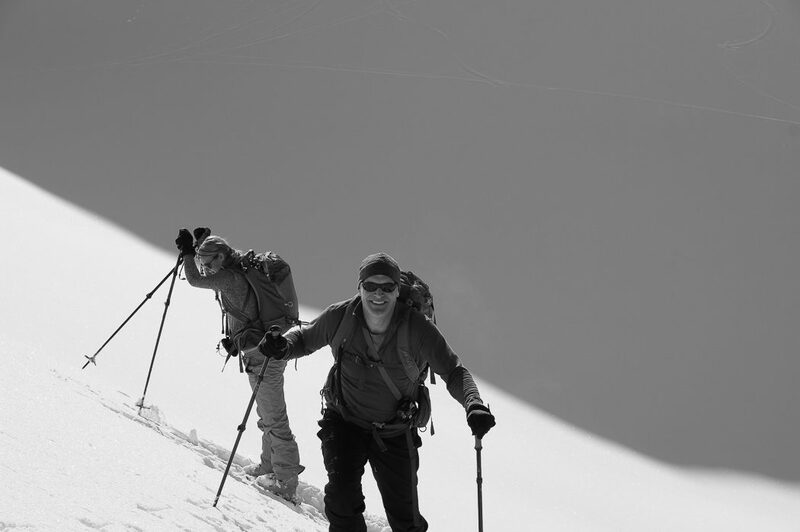 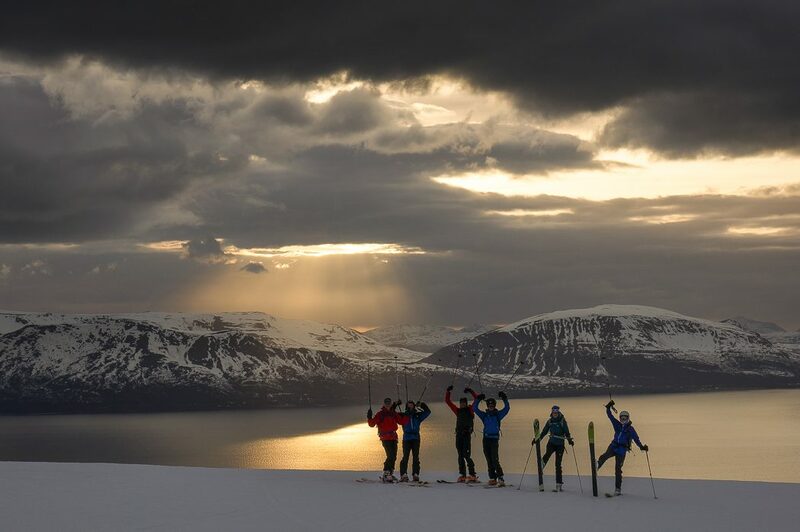 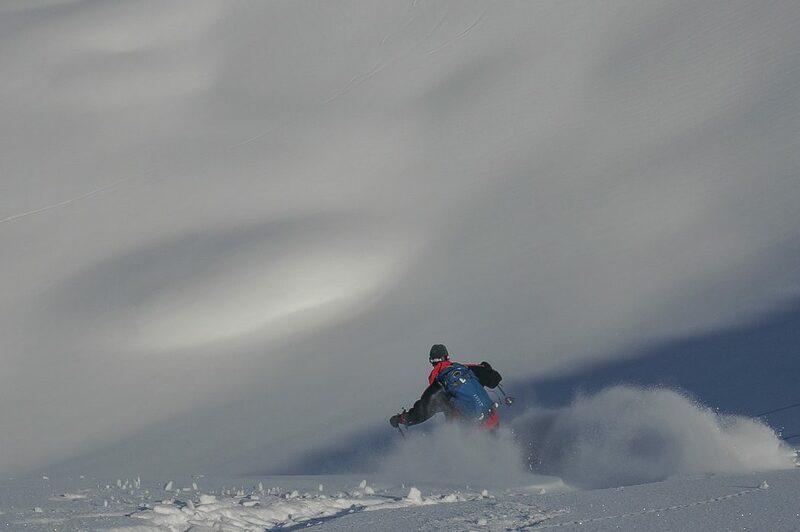 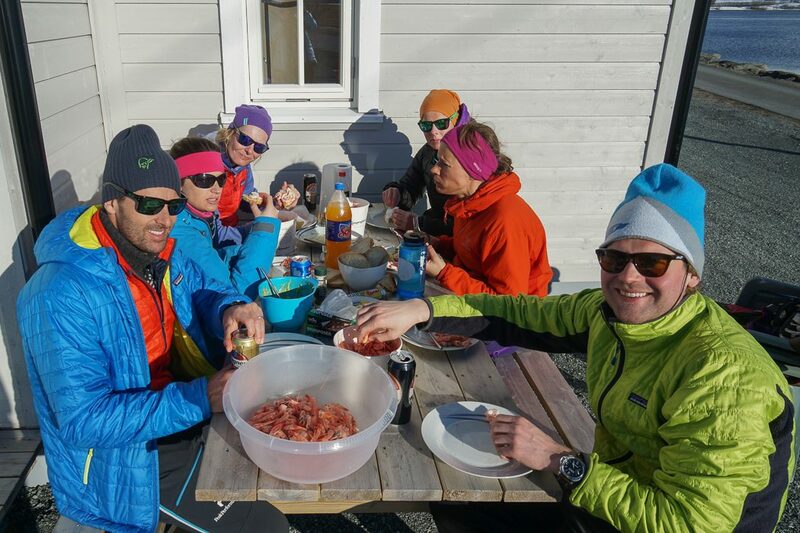 The 16 groups that joining us for Lyngen powder touring in 2016 came from all over the world! 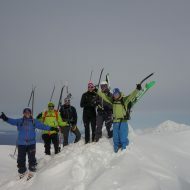 There was also a great mixture of all levels of skiers, which makes the work more variable and interesting for us guides. 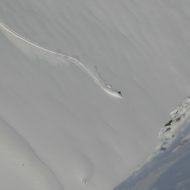 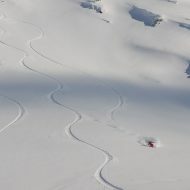 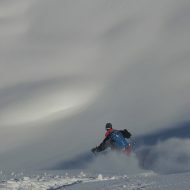 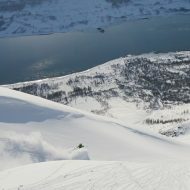 Exploring the far, steep and fast, gets altered with enjoyable turns on untouched, long-lasting wide slopes. 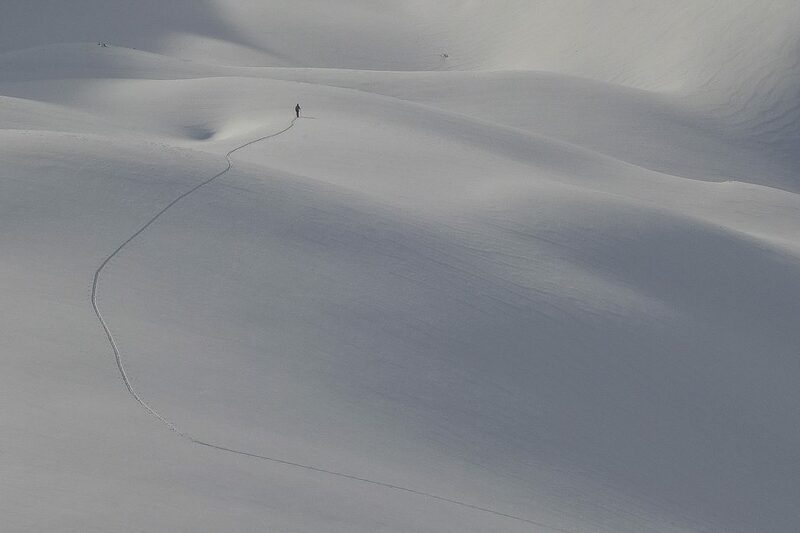 Whatever your objective for the day, there is always time to contemplate the magic landscape and no rush for fresh track. 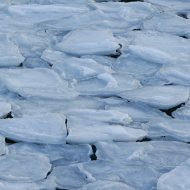 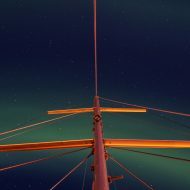 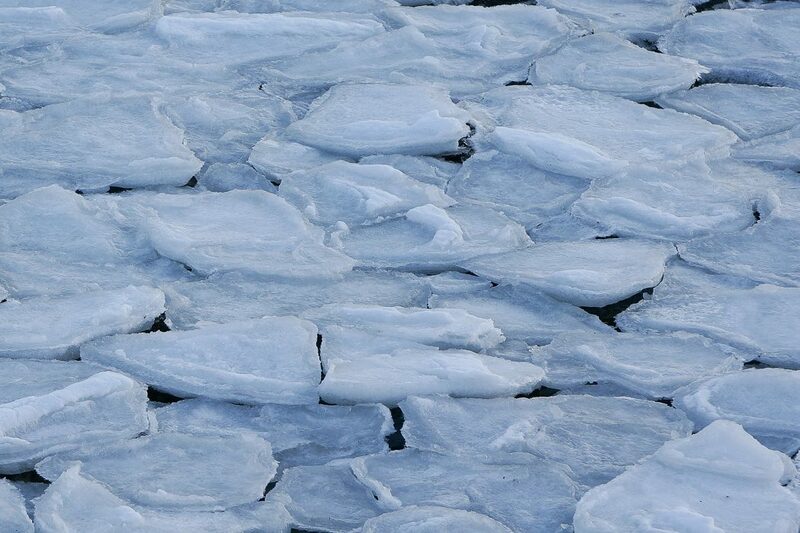 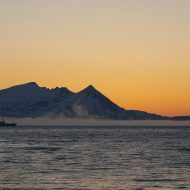 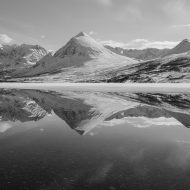 The variable weather conditions is the only thing that dictates the when and where during the otherwise very calm rhythm of life in the north. 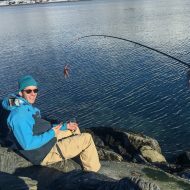 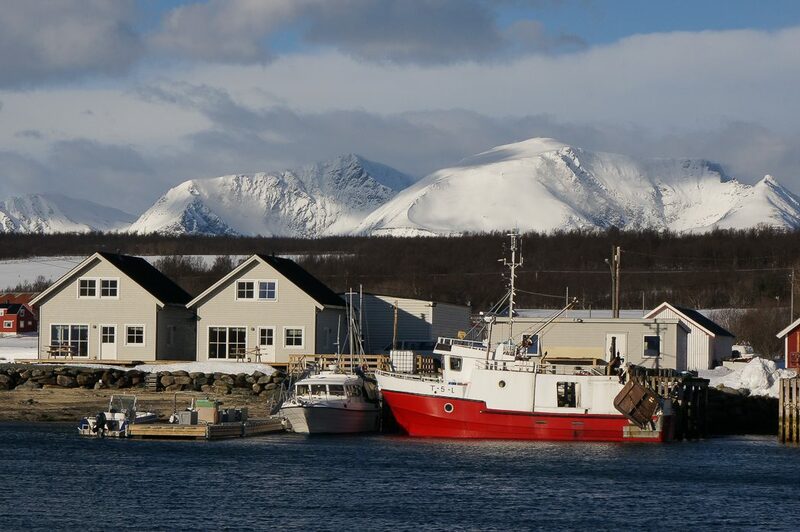 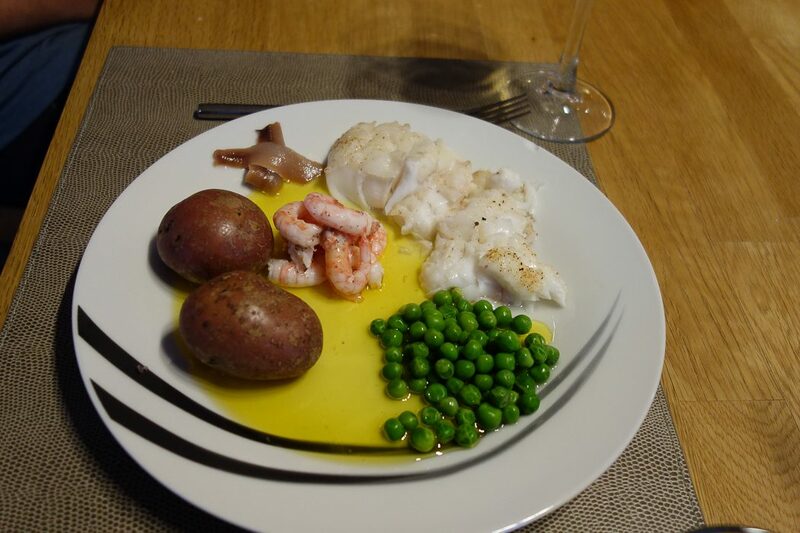 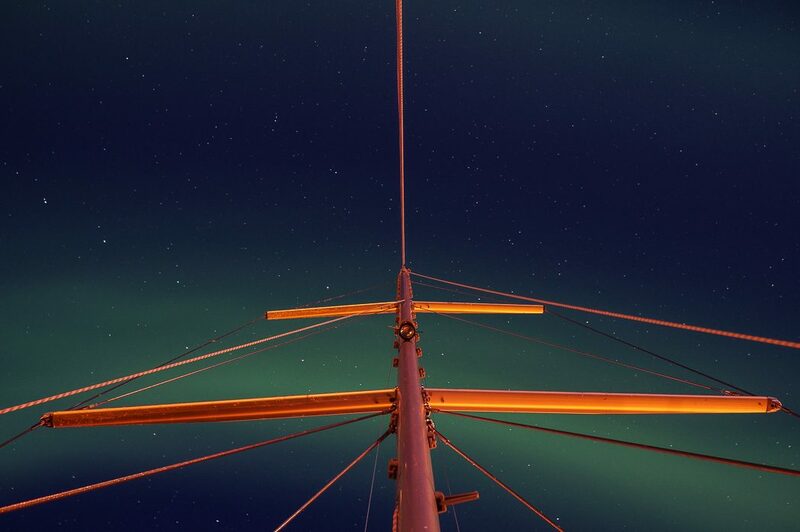 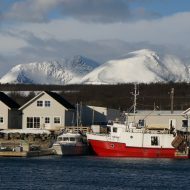 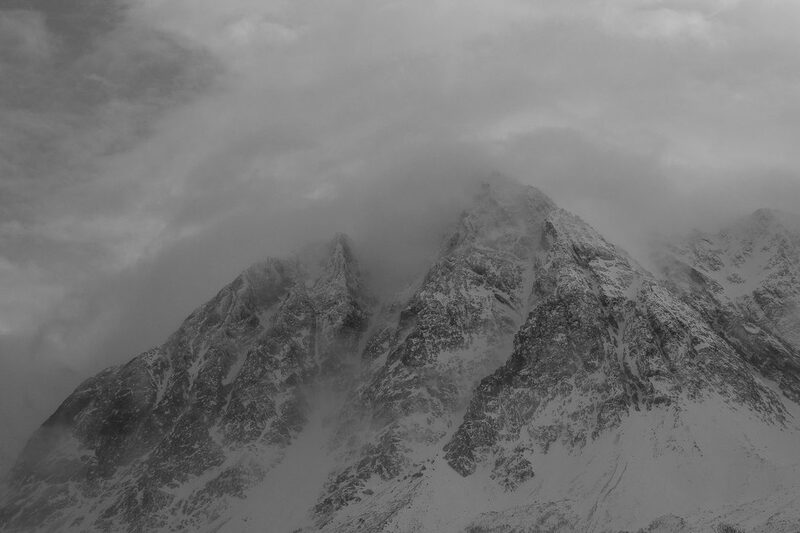 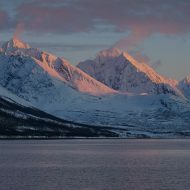 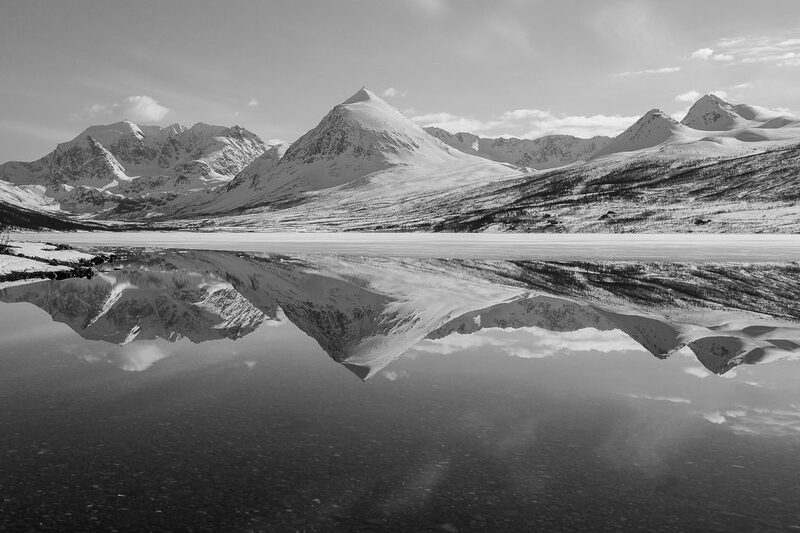 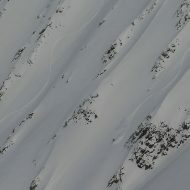 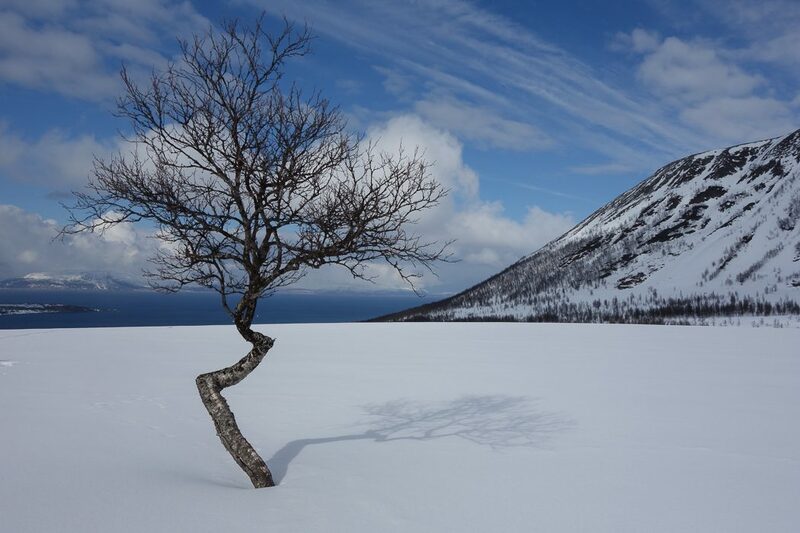 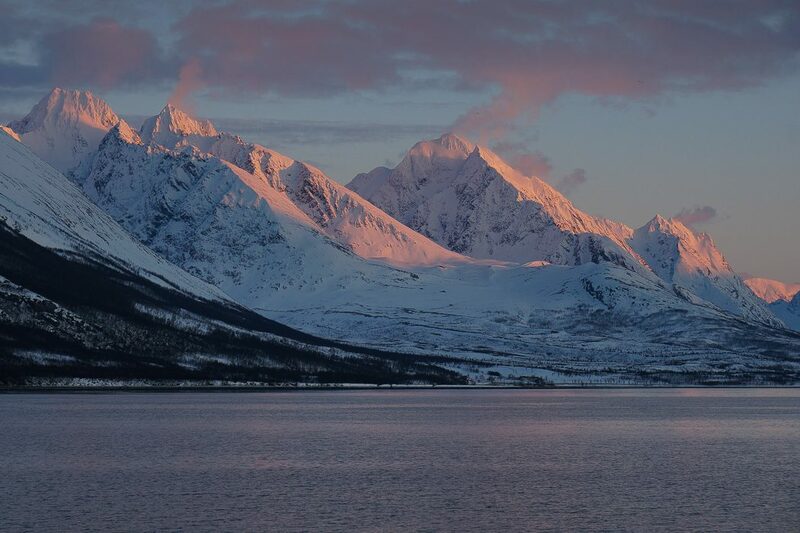 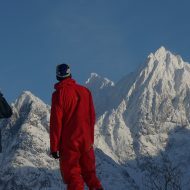 …next year for Lyngen powder touring! 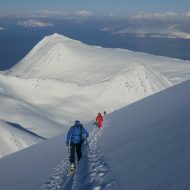 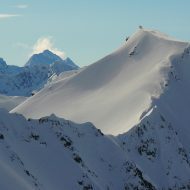 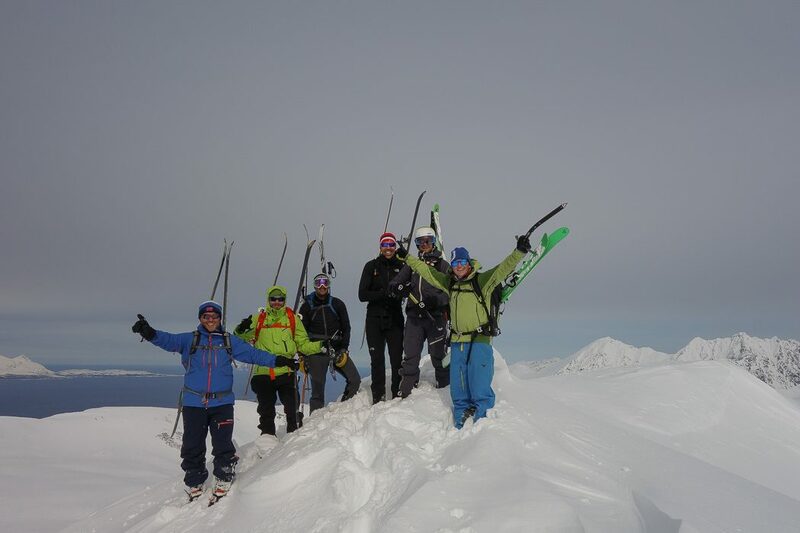 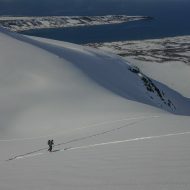 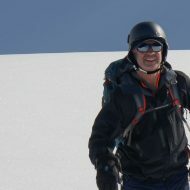 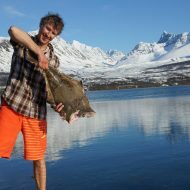 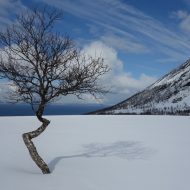 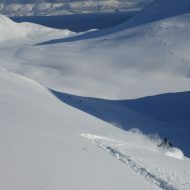 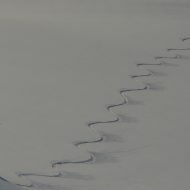 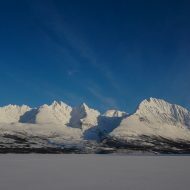 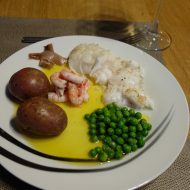 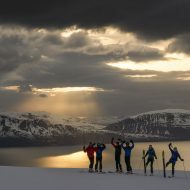 Info at Lyngen guided ski touring trips. 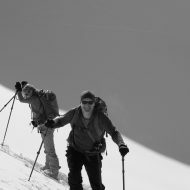 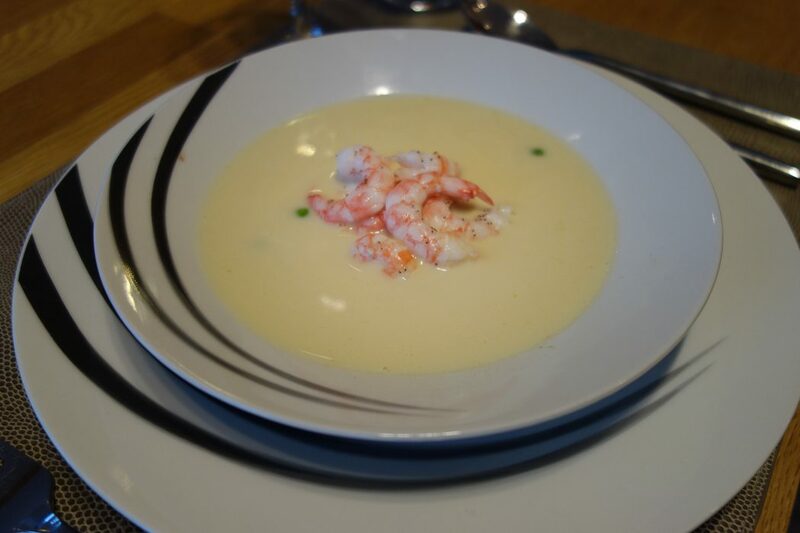 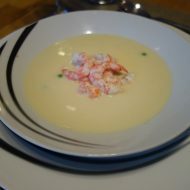 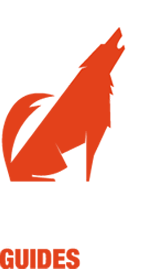 The autumn is a good time to get you plan together and contact us for a booking.